Saul Marquez: Welcome back to the podcast. Today I have the amazing Sonia Sarkar. She is part of the Democracy Collaborative as Consultant to the healthcare engagement team. She started there this year 2018 most recently served as Chief Policy and Engagement Officer for the Baltimore City Health Department overseeing multi stakeholder community engagement strategic planning policy activities and population health initiatives to address health inequity throughout the city. These are a lot of the topics that we touch on in the podcast and Sonia has taken a deep dive into them both in thought and practice. Previously she was a Director of Provider Solutions at AVIA Health System LED Innovator Accelerator where she worked directly with hospital executive leadership to identify and incentivize innovative solutions to patient care. So for those of you that are entrepreneurs in the space wanting to get some insights, I think you’re going to get plenty here today. So it’s with great pleasure that I welcome Sonia into the podcast. Welcome Sonia. Sonia Sarkar: Thanks so much Saul. It’s great to be here. Saul Marquez: It’s a pleasure to have you on. Now what did I miss in that intro that maybe you want to fill the guests in? Sonia Sarkar: Yeah I think one of the things that I’m really excited to be part of right now is just engaging with different networks. So I’m currently a Robert Wood Johnson Foundation culture health leader and there I have the opportunity to be amongst dozens of really innovative thinkers and doers who are pushing the boundaries that we think about healthcare and health today. I’m excited to dive into how we might be thinking about those definitions in our everyday work and to speaking to a lot of what you guys are covering here on this podcast as well. Saul Marquez: That’s fascinating. I’m sure those those meetings would be fascinating to attend and folks here today you’ll be able to get a little glimpse into the thought process. So as you do what you do Sonia what is it that got you to the medical sector to begin with? Sonia Sarkar: When I was a public health undergraduate at Johns Hopkins I grew really fascinated and so frustrated by the fact that you have one of the best health care institutions in the country, yet in the neighborhoods immediately surrounding that institution you also have some of the worst health outcomes in the country. So a lot of folks think about Baltimore. They also have heard about or seen statistics like the fact that in the early 2000’s our immortality rate was twice that of the national average or some of your listeners might know that in certain neighborhoods in Baltimore are people can expect to live 20 years less than those living in other neighborhoods in Baltimore. And so what I really wanted to understand against the route out was why was it that in this particular instance the best that our healthcare system has to offer still wasn’t enough to actually deliver health. And so in my sophomore year there was a program called Health Leads which is a national social enterprise that was really focused on connecting the dots between clinical care and the social needs that patients might have. Hopefully it’s really recognized that if you’re prescribing an antibiotic. But the real issue is that the child or the family doesn’t have food at home then that medical treatment is it going to go very far. And that frustrates both the patients but also the physicians and health care system and the hospital its working so hard to get them better and to improve their health. So I joined Health Leads, it was part of a co founding team that was really focused on building the organization from the ground up but most importantly I spent a lot of time directly working with patients. So these were patients who lived in East Baltimore a predominantly African-American neighborhood. Many of them had been navigating different complex systems their whole life. And they taught me a lot about the fact that although I have so many friends and colleagues who are in medicine and how amazing, I am really most excited by and interested in how different organizations, different sectors outside of health care can work in partnership with the health care sector to think about how to move it upstream and how to position it best to be able to address some of these needs that folks are coming into our waiting rooms and our exam rooms with and ensure that we’re actually getting to the health outcomes that our country’s thirst. Saul Marquez: That’s very insightful Sonia, and so you definitely have been there and experienced the hardships through some of your work. So what would you say an example of the work you guys are doing now with the organizations you’re involved with to improve outcomes has been? Sonia Sarkar: Yeah I’ve been really lucky to work with an organization known as the Democracy Collaborative. They are the backbone organization to an initiative called the Healthcare Anchor Network which is a collective of roughly 40 health systems across the country representing hundreds of hospitals and the Network is really pushing the field forward on how we might think about something like an anchor mission strategy. What I mean by that is how do we engage healthcare institutions and thinking about how to leverage their assets so things like hiring, procurement, investing, all of these things that hospitals are doing their local communities and using that to identify the critical shifts that are needed in order to address inequities in health and other racial and economic inequities that might be within a particular community. So just an example of this is you know the network said some amazing meanings that bring together a chant from across distinctly different healthcare institutions. One of the accomplishments that they’ve been working on right now is thinking about how we capture the collective impact of healthcare anchor for institution work across the country. So for example collecting data on how health care institutions are leveraging their hiring practices so that it’s not just about how many jobs are being created but how many of those employees are local, how many are coming from underrepresented populations. What for example might be the full impact of making a place-based investment as a hospital in an issue like food or housing. And what is that looking like across the country. So that benchmarking is really one of a kind and I think it speaks to the hunger which the Healthcare Anchor Network recognizes for not just engaging in anchor work or addressing social determinants of health because it’s the right thing to do but because it can have real impact on actually improving health outcomes across the board. Saul Marquez: Yeah because as you improve communities by way of that health improves in those communities right. Saul Marquez: I love that. Yeah. You know I was I was in a presentation or it was a conference a couple of years ago and the CEO of the Cook County Hospitals had a presentation showing the zip codes here in the City and Chicago. And he showed how the further south you go your life expectancy could drop by 20 years. And he made a comment that still sits with me that genetic code may not be as strong as zip code. So what are we doing to improve that. And so your message to me just kind of brings him back to that. And it’s a strong one and you guys have some very granular ways of approaching it. Sonia Sarkar: Yeah I think to you know socialist forms of health have become much more prevalent as a term is an issue within the sector. I think a lot of your listeners are familiar with that term but for those who don’t know this idea that where we live and work and play has an impact on our health this is something that has been around for a while. But I think it’s really taking hold in our new paradigm a value-based care. This idea that you know how safe and affordable housing is or how healthy the food is that we eat that this is also something that’s part of health care and there’s a valid question for health institutions to consider that. But one of the things that I also find really interesting is that I’m thrilled about this movement because I’ve been working in this space since I was 17 years old essentially when it was not seen as a nice to have. I also think that in addition to it becoming the sort of hemp focus for the healthcare sector we also have to think about what are the different levels that health care institutions can plug in on social determinants of health. And so you have a wide spectrum everything from you know even just asking patients if they need access to food or housing all the way up to the anchor work that I was talking about with Healthcare Anchor Network and the Democracy Collaborative. How do we think about the roles that health care can play as influence or as an employer as a care provider. These are all things that I know are on the radar of a lot of health care leaders across the country. Saul Marquez: Such a great perspective and Sonia what would you say you’ve been through a lot and you know especially with community based leadership a lot of setbacks happen. Can you share with us one that in particular that comes to mind and what you learn from that? Sonia Sarkar: Yeah absolutely. So I, this is a throwback because it was one of the very first encounters I have in the healthcare system. I was working in a busy Pediatrics Clinic in that part of East Baltimore and it was working with a patient who had been in and out of the emergency room. Her young son had been suffering from LED poisoning and asthma exacerbations because of the quality of the housing that they were living in and he was working with her to get the family assessed for the different types of resources that they might be able to get connected to and it was really fascinating because they were filling out an application for some food assistance we could get her connected to the right places within the city whether they were locally run church organizations or whether it was federal food assistance. And I realized that I had never seen how complicated the applications were before and I was sitting there with the patient and struggling to make my way through it and she took it for me and she said “Don’t worry I’ll walk you through it and I’ll show you where are the places that people tend to get hung up and you know here are the ways in which you might want to think about having this conversation other patients in the future” and for me it was such an important year I was this undergraduate from Johns Hopkins and steeped in the world of public health and health care. This important lesson around stepping back and creating space for the expertise of others I think you know health care. As with many other sectors has been built on this model of a road doctor and you know well I’m not denying that healthcare professionals are pulling off amazing feats every day. I think we’ve seen that through innovation and health comes often from throwing unconventional teams of different disciplines together and really going to the heart of who’s the end user for this system and so just like we would never design a cell phone without doing a ton of user testing to make sure that it’s essentially like a second skin and for a consumer we haven’t quite gotten there in healthcare yet. And I think there’s a lot of room for bringing patients into these conversations around what our health care systems look like. Saul Marquez: Love that. Yeah such a great call out. And as we look to put things into place that make a difference I think keeping it simple is definitely a driving factor. What about the other side of the coin right, you shared with us the setback. But how about one of your proudest medical leadership experiences to date? Sonia Sarkar: One another to be in collaboration. There’s still a significant road ahead for the initiative but I think it’s a really great example of what this can look like when there’s that intentional thought up to it. Saul Marquez: Oh for sure. And kudos to you for getting everybody to agree to play together. I think that as oftentimes difficult you know like I mean information exchange, data availability from one system to the next. I think at least being able to get the group of providers stakeholders together to work together on how to address the social determinants of health is key. So where there any programs developed or insights gained from the process? Sonia Sarkar: Yeah. One of the insights that we took away was how desperately the health systems wanted a common table to be able to come together particularly around data and information exchange as you were just talking about. So in this particular instance Baltimore was using a health information exchange that allowed hospitals to see clinical information across different patient sites so if a patient was at Hopkins one day and then the University of Maryland Medical Center the next day they could see whether that patient had been in an emergency room or what prescriptions they were taking what they couldn’t see was the social health information. And so we had a really interesting conversation about what it would look like to create a portal that is not just one part of the patient but it’s comprehensive to the patient so that different case managers and different physicians across Baltimore’s at various health care providers could be on the same page about what patients were experiencing. And that was something that came very tangibly out of the design conversations that we had during this process. Saul Marquez: To make sure we get it done right. Sonia Sarkar: Yeah a little obsession goes a long way. I’ve found that you’re trying to wrangle a lot of people to be in the same room. Saul Marquez: That’s excellent. That’s excellent. Sonya so so tell us about an exciting project or focus that you’re working on today? Sonia Sarkar: One of the things I’m really excited to be focusing on and I think that adds up the community experience that I had at the Health Department with the nonprofit experience and then the healthcare systems experience I had prior to that is really fascinated by places in which health care institutions and communities are working in partnership around the challenges that both of them face. And so one example of this is when you might have questions about how to get patients to engage around different pieces of health information or when there’s a desire to think more clearly about what types of advice to give a patient. There’s one program that I’ve seen in different iterations and different communities across the country that actually thinks about you know who are the trusted messengers that patients might listen to and so that could be folks from their local religious institutions so people who are part of a congregation with that patient or it could be a community center that that patient goes to, it could be that person school, and thinking about the role of lay community health workers as well as professional community health workers in being that support system for patients so that everyone’s operating at the top of license and that you inside of the hospital within the acute care or chronic care settings people are able to focus on “okay you know here’s what we need to do in order to get your health outcome from A to B.” But then we’re also acknowledging that patients live these full lives outside of the four walls of the clinic and that there are roles that can be played in terms of getting someone to the clinic or following up with someone about whether or not they took their medication or you know asking checking in with someone about whether they understood the post op instructions that they got thinking about leaving that complex mosaic of health support and healthcare together I think that’s something we’re seeing a lot more of and I’m excited for further conversations about how we do that in a sustainable way. Saul Marquez: Love that yes it’s key and one of the things that we’ve talked about on the podcast a lot is improving the user interface of the health system and this is both for patients as well as the caregivers and providers improving the user interface is crucial. And so now you’re you’re spending a lot of time doing this and you’re doing it successfully. So keep up the awesome work you know are the people in this country hour depending on what you do. Sonia Sarkar: Thank you Saul I appreciate it. Saul Marquez: Absolutely. So getting close to the end here Sonia, let’s pretend you and I are building a medical leadership course on what it takes to be successful in the business of medicine and in social determinants of health. So I’ve got four questions for you lightning round style, followed by a favorite book. You ready? What’s the best way to improve health care outcomes? Sonia Sarkar: I’d say assume that you don’t have all the answers. There’s really deep wisdom in communities and as patients told me social determinants for them aren’t just an abstract concept or a new term for the sector or their lived realities. Sonia Sarkar: I would say that there are ways to take existing work and build upon them and bridge across them rather than assuming that all innovation has to be brand new. Went out of the box or that we have to be stuck in kind of the old ways past seeing amazing things happen when people look at programs and pilots they have in place already and just think about how it can be tweaked and customized for a different question, a different frontier of healthcare. Sonia Sarkar: The biggest thing I would say is to listen. There are so many changing parts and pieces of healthcare and I think that it can feel really overwhelming at times but I found that in organizations that really take the time to check in with their employees with their communities with patients with partners that they’re working with on a variety of fronts and think about what it may look like to really kind of envision health together even if that sounds kind of abstract and pie in the sky there are ways to do that that are truly with an eye towards improving practice and making things more efficient and strategic and so just listening in and holding that as its own space can be huge. Sonia Sarkar: Our organization when they were really focused on democracy collaborative does a great job as you know thinking about what our true north is right. So what is the ultimate outcome and vision for the healthcare anchor network. What our health system is striving towards and we found that at the end of the day this is about healthy and thriving communities. So we’re not making decisions that are pushing us closer towards that. And you know we’re not sticking to our master. Saul Marquez: Love it. What would you recommend to the listeners? Sonia Sarkar: One book I really love is the American Healthcare Paradox written by Betsy Bradley who’s now the President of Vassar and Lauren Taylor a student who was working with her at the time and it does such a great job of really examining this paradox of why is healthcare in the US so expensive and yet our health outcomes still aren’t where we want them to be and they do a great comparative analysis of our poor countries and looking at not just you know the difference in how we spend health care dollars versus social services dollars but what are the attitudes and the beliefs and the norms that undergird a lot of that discrepancy in spending and so I think it’s an amazing thing to read if you’re inside of the health care sector to really understand how it is that we have come to the reality and the work that we do today. Saul Marquez: Beautiful. What a great book recommendation. Definitely one that I’ll be checking out. So folks if you want to link to that book, a link to the democracy organization that Sonia is a part of go to outcomesrocket.health/sarkar as in Sonia Sarkar. You’ll find all of our show notes there as well as a full transcript of our discussion. This has been a blast. Sonia I’d love if you could just share a closing thought with the listeners and then the best place where they could follow you or get in touch with you. Sonia Sarkar: Right. So one of the things that I’ve been thinking a lot about recently is the conversation around medical care. I think particularly can feel really complicated and divisive. It’s very much about how do we spend our dollars and how do we believe that those dollars should then create the right investment for us. But one of the things that I found is that when you in addition to medical treatment also talk to patients and their families and their communities about what health truly encompasses the conversation opens and these really interesting ways. My former boss Rebecca Oni is the founder Emeritus Health Leads recently launched a health initiative which is looking at the places where we can come together nationally around health regardless of political affiliation and it turns out that when you define health as the ability to thrive, as the ability to be able to provide for your family and have food or shelter or a job, Americans actually agree on a lot more than they might think. So that gives me hope and think it’s something that we can all definitely invest some time in really sort of engaging with. Saul Marquez: Love that now its a good, its a great reminder to the listeners Sonia that yeah health is actually deeper and more simpler. It starts with the vitality and health of communities, financial health as well, wellness so really appreciate that and what would be the best place for folks to follow you or get in touch. Sonia Sarkar: Yeah they can get in touch with me at my email which is ssarkar3@jhu.eu. I look forward to hopefully connecting with some of your listeners. Saul Marquez: Outstanding Sonya. Thanks again for spending time with us. We really appreciate it. Sonia Sarkar: Thanks so much. 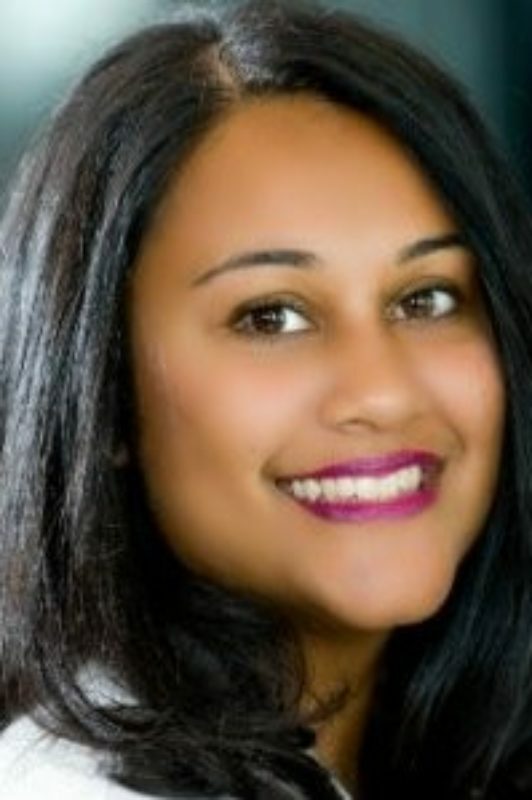 The above audio transcript of “Rethinking Public Health, Improving Outcomes and Increasing Impact with Sonia Sarkar, Chief Policy and Engagement Officer at Baltimore City Health Department” was transcribed by the best audio transcription service called Sonix. If you have to convert audio to text in 2019, then you should try Sonix. Transcribing audio files is painful. Sonix makes it fast, easy, and affordable. I love using Sonix to transcribe my audio files.